The worldwide reputation of Miss Arab USA has been built by in-kind individual sponsors as you. We welcome Photographers, Videographers, Hair stylist, Make-up Artists, and Stylists to join the Miss Arab USA Crew at no cost for fun work and a unique experience. Miss Arab USA travels nationwide and worldwide for appearances and special events, therefore we are accepting registration from all around. 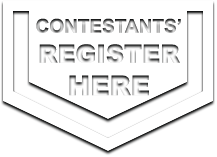 We have created this registration form to submit your interest. Official social media records demonstrate that Miss Arab USA is reaching over 186 MILLION people per week, this is more than 9.7 BILLION per year. Registration is Free, and you will provide your service for free (In-kind Sponsorship). Photographers/Videographers should agree to transfer a copy of all their raw footage to the organization in day per day bases. Hair stylists & make-up artists provide their own products or materials. We will give you credit wherever possible, including our Media Credit.